Igloos in Milan are a major example of architectural diversity of the capital of fashion and design. Their construction demonstrates how iconic and vibrant was the design scene just a few years after the second world conflict. 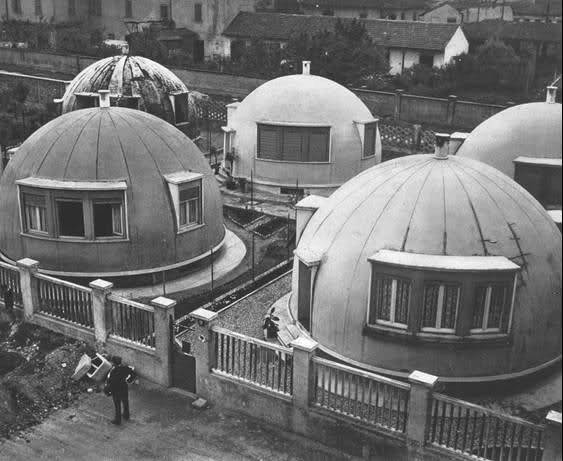 The igloo houses in Milan were built in 1946 on a project by architect and engineer Mario Cavallè, who also designed the mushroom houses which were demolished at the beginning of the sixties. These particular contructions own their origin to the need of those left homeless by the allied bombing which took place in Milan during the WWII. A catastrophic event which severely damaged the most important buildings of the city from the La Scala opera house to the Sforza Castle. Amid the many buildings destroyed there were also the houses of many Milanese residents who were then without a place to go. The idea of building such houses came from America. Architect Mario Cavallè took inspiration from a trend which was on in the United States at that time. 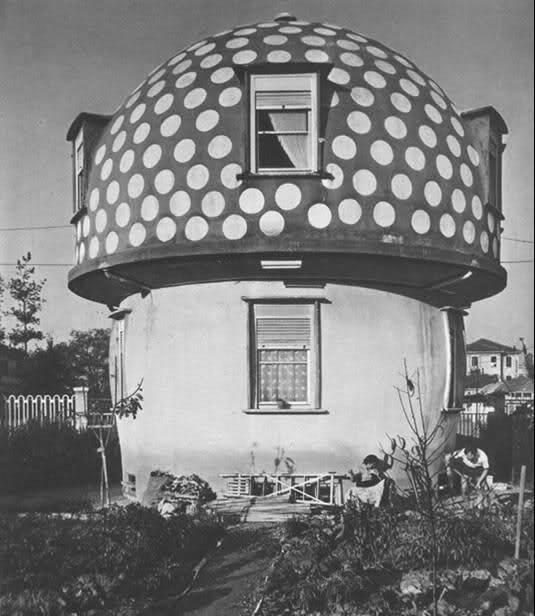 Houses with a circular ground plan covered by a sort of dome. The houses were built on two different floors (basement and first level) and included two bedrooms, a bathroom and a kitchen. This particular architecture has been actually very popular since the beginning of humanity. 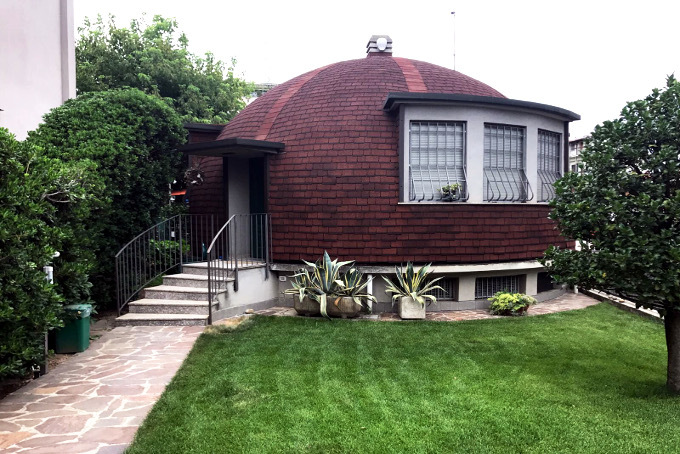 In the world there are many examples of buildings with a circular ground plan as demonstrated by the very popular instagram account Circular Spaces. 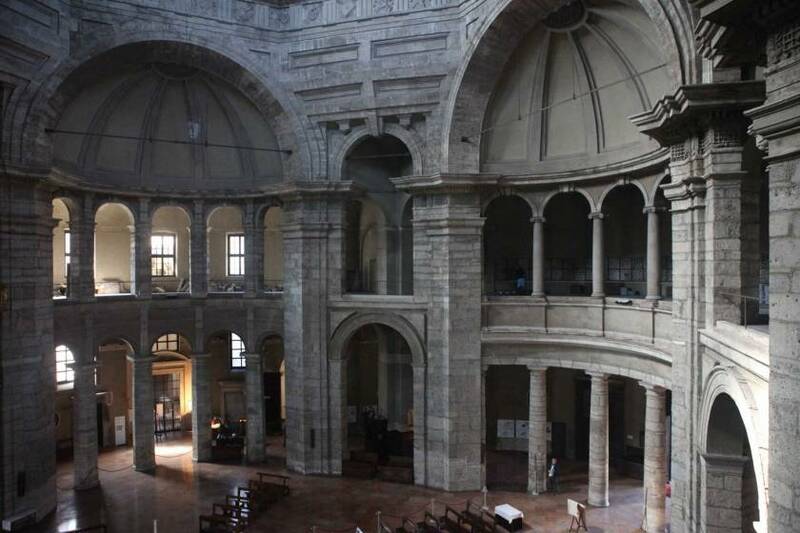 If you happen to be in Milan you must go and see by yourself these architectural wonders. They are in Via Lepanto, just a few steps from the up-and-coming district of La Maggiolina. To get there you can catch the purple line of the underground services and get off at Istria station.